Philly, the nation’s fifth-largest city, is a place full of small businesses. If you’re managing one of them, you’re surely trying to improve the position that your website appears at in the organic search results. The good news is there are many agencies offering SEO services in Philadelphia. However, some of them are noobs. 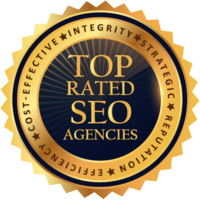 Luckily, you have us—we’ve provided you with a list of trusted Philadelphia SEO companies that boast years of experience and have an unbeaten track record. We tested their strategies, business practices, customer support, and results before adding them here. Combining the agility of a startup with the experience of a team involved in the digital marketing world since its inception, Armor creates measurable results for both big and small businesses. Their ideas turn into elaborate planning and sleek execution while keeping the clients always in the loop. Silverback Strategies is a digital performance marketing agency located in Virginia with an office in Philadelphia. They measurably increase leads and sales and build relationships based on communication and reporting. Total Web Company is led by a team of professionals dedicated to enhancing clients’ online presence. They work with a variety of businesses, delivering custom-tailored campaigns. Additionally, they provide personal customer service representatives which guide the client through the process. Citro is one of the best Philadelphia-based companies driven by a team of highly-collaborative doers. Each member of Citro is hand-picked because of their unique skill set, from analytical thinkers and master-coders to detail-oriented editors and social experts. DMi Partners is a Philadelphia SEO firm with over 15 years of experience which offers quality, efficiency, and ultimate agility. Their team utilizes cutting-edge techniques and has a collaborative approach to create unique web solutions, having clients’ best interests at heart. Purplegator is a mobile-first digital agency located in suburban Philadelphia in King of Prussia, PA. It offers all things mobile and digital from SMS Marketing to apps development and everything in between, including mobile and digital advertising. HopInTop is a full-service digital marketing company providing innovative solutions since 2007 to agencies and businesses around the world. Voted as a leader in SEO, PPC, B2B, the company prides themselves on transparent services delivering measurable real results for our clients. Specializing in SEO and PPC, Firestorm SEM is one of the best Philadelphia SEO agencies aimed at building effective strategies which meet clients’ goals and intended branding message. Their unique practices drive revenue, leads, and sales before you know it. Boomtown Internet Group specializes in web design and SEO. They incorporate a perfect fusion of craft and artistic approach to boost the client's business reputation and create a strong web presence using quality methods of SEO and other digital marketing services. Perfexion, Inc. is an interactive digital agency located in the Philadelphia suburbs. They provide a gamut of solutions, designed around the client's business. The team employs the latest technologies to ensure the job is done right and to the client's specifications. FZP Digital develops, designs, and delivers efficient and compelling campaigns with one goal - to improve clients’ search engine rankings. Their forefront solutions meet and exceed the goals and provide customer engagement on a whole new level. Streamlining the campaign process from the beginning, this Philadelphia SEO company specializes in brand marketing and SEO. They provide regular updates and cost estimates based on quantity. Flexible and resourceful, the PWD easily adapts to clients’ shifting requirements. Farotech is a comprehensive, growth-driven digital marketing agency that implements a systematic approach to lead generation, nurturing and conversion by utilizing scalable web design, cutting-edge inbound strategies, and creative video development. Vici Media specializes in creating online campaigns which get maximum ROI. This company has a multi-platform approach and uses cutting-edge technologies to provide the best web solutions. In addition, they provide unparalleled customer service, as well as full digital training. PT Marketer Group is a marketing management company that offers social media services, email marketing services, website design service, and paid advertisement services. They create and manage top-performing campaigns, helping businesses grow and achieve marketing success. From the Future focuses on research-driven solutions that grow along with the constant changes in the industry. Their unique approach delivers actionable and data-backed strategies which guarantee success. Additionally, FTF’s clients have insight into every step of the process. Splat designs and develops award-winning websites that bring your brand to the top of the SERPs. They start by evaluating your goals and then combining well-built digital assets, PPC, content creation and promotion to ensure optimal visibility, high traffic, conversions, and high ranking. Franklin Digital is among the most outstanding digital marketing companies in Philadelphia. They combine strategy-first approach and unique techniques to deliver continual growth. At Franklin Digital the client is the most important partner throughout every stage of the campaign. Infinity Digital's mission is to offer services to clients that inspire more leads, increased traffic, and ultimately more sales. A proud partner of both Google and Bing, the agency develops strategies that put businesses in front of customers. Going on for over 20 years, SEO Digital Group is focused on delivering clear strategies which meet clients’ business objectives and increase their revenue. The team of visionaries creates innovative campaigns focused on meeting businesses’ goals and achieving high ROI. Seer Interactive specializes in maximizing the Internet for building brand awareness and driving quality leads and sales. Their team of passionate individuals is focused on expanding clients’ bottom line and identifying the opportunities for solving complex web challenges. Netplus is one of the best Philadelphia SEO companies focused on helping clients thrive. They leverage a highly experienced and collaborative team to approach SEO from every angle and execute successful campaigns that result in conversions and high ROI. The Expert SEO Group creates a digital marketing master plan specific to the client’s business and aligned with their goals. They use proprietary tools and strongly focus on the endgame to ensure a success, which is measured by increased sales and high ROI. This award-winning SEO company focuses on helping businesses grow faster online. The knowledgeable team is responsive and collaborative, offering creative suggestions and seamless execution. In recent years, Philadelphia has turned into a fertile ground for startups to grow and succeed. New technology and business developments have added to the startup-friendly environment. According to the Philly Tech Guide, there are more than 1,500 startups in Philly, 300 of which are tech-based. A big city with a small-town vibe, Philadelphia is largely untapped compared to other cities that are already established as “startup havens.” People have only recently begun to recognize the benefits of building their startups in Philly, which means this area is abundant with opportunities for those who recognize them. The City of Brotherly Love is on the radar of every aspiring entrepreneur looking for affordable office space, top talent, a vibrant community, and easy access to the big East Coast cities like Boston, New York, and Washington DC. Recently named a “Top 20 Emerging Startup Hub” by Technet, Philadelphia hosted over 2,097 startup events and meetups in the last 12 months. A 2018 Forbes ranking places Philadelphia among the top 10 rising cities for startups in the US. Doing business in a city emerging as a startup hub calls for methods that will differentiate you from the rest. And what’s a better way to do so if not by establishing a robust online presence? As the number of small businesses increases, so too does the number of Philadelphia SEO companies offering the variety of services needed to place your business in front of the right audience. We’ve provided you with a general table of the best SEO providers in the city; however, in this section, we’ll present you with the best agencies that specialize in e-commerce SEO, local SEO, and PPC. HopInTop is a full-service digital marketing company providing innovative solutions since 2007 to agencies and businesses around the world. Voted as a leader in SEO, PPC, and B2B, the company prides itself on offering transparent services that deliver real measurable results for clients. SEO Locale is a premier digital marketing agency specializing in local SEO in Philadelphia. Boasting over 15 years of experience in the industry, this team is devoted to every client and goes above and beyond to help you grow your business. Best SEO Firm develops leading strategies that focus on the individual needs of each client. Working with businesses of any size, Best SEO Firm delivers results in the form of increased traffic, better rankings, and a high return on investment. The goal of Momentum Digital is to empower entrepreneurs and small business owners. They design and develop products that elevate brands, catering every solution to the individual client’s needs. They invest special attention in each PPC account, ensuring they can provide you with the results you’re looking for. Founded in 2008, WebiMax is a full-service digital marketing agency that specializes in PPC and SEO. They use proven methods to help clients rank high, get more customers, and improve their brand reputation. Since 2009, The Ad Firm takes a scientific, results-focused approach to developing marketing solutions that help businesses stand out from the crowd. Their collaboration with clients is based on transparent communication, trust, and mutual respect. 1Digital Agency is a group of passionate innovators devoted to every piece of the e-commerce puzzle. They work with mid-sized clients and partner up with enterprise e-commerce solutions from platforms like BigCommerce Enterprise, Shopify Plus, and Magento. IntuitSolutions provides intuitive e-commerce solutions for online merchants, backed by a talented and professional team. Clients get dedicated experts who are ready to meet your needs and establish a successful relationship that brings in results. A full-service marketing agency, 215 Marketing is a Google Partner that focuses on implementing custom solutions that drive leads. Impressively dedicated to their clients, this is one of the best Philadelphia SEO companies for e-commerce.